The best way to get to know a community is by scheduling a tour. See the facilities, meet the staff and residents, and get a feel first hand what it's like to live at Sunrise on Old Meridian Assisted Living. Whether a resident is a healthy senior who wants to lead a life full of activity or someone who is living with the challenge of Alzheimer's or other memory issues, Sunrise on Old Meridian has something for everyone. Our professional staff are specially trained to deal with seniors who need extra care and attention, while our Masterpiece Living program makes a stay at Sunrise on Old Meridian feel like a vacation. Sunrise on Old Meridian is a part of Sunrise Senior Living, one of the world's most experienced providers of senior living services. Sunrise's services are delivered by staff trained to encourage independence, preserve dignity and enable freedom of choice. To help make their new residence feel like a real home, our seniors can select from a variety of floor plans when choosing their new apartment. These include studio, one- and even two-bedroom arrangements. Physical fitness classes along with activities that focus on the spiritual, creative, educational and social side of life keep our residents fully engaged in their new lives. We also welcome the families of our residents into our community and offer social and educational programs for them so that they can stay invested in the lives of our residents. Our trained staff are available 24 hours a day to help residents with their personal needs such as laundry, housekeeping and trash removal. 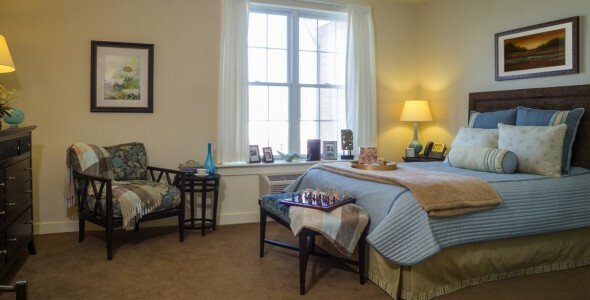 Assisted living residents receive professional assistance with tasks of daily living such as bathing, eating and mobility in the privacy of their own apartment. To insure that our residents stay healthy, we offer them three nutritious meals a day along with a selection of snacks that are formulated to meet the unique dietary needs of seniors. Moving into a senior living community can be a challenging experience, but our community at Sunrise on Old Meridian makes the decision easy by offering high quality, caring service.